A parent's joy just after meeting their child for the first time is beautiful. 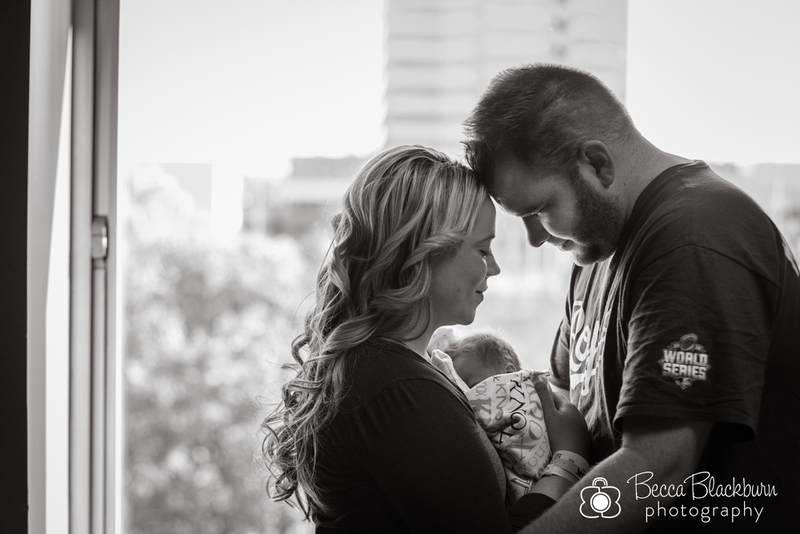 Nothing compares to those first moments together as a family — so tender, new and sweet. 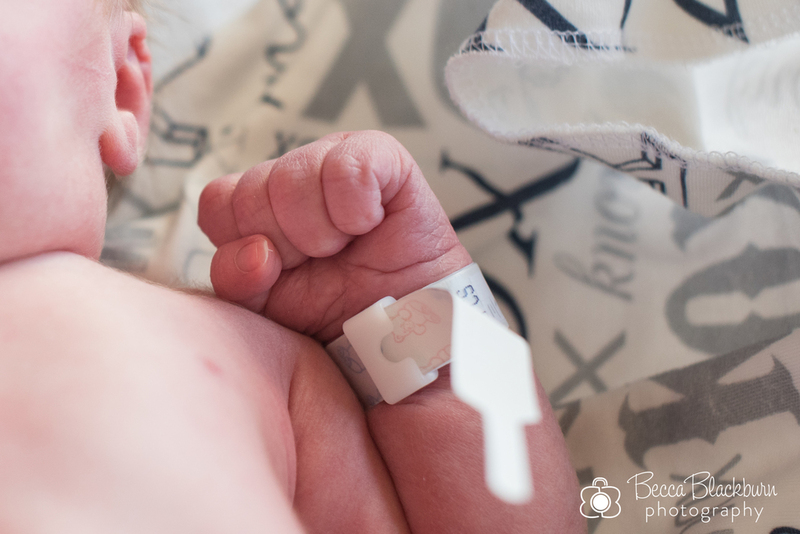 And helping preserve those little details that change SO quickly — the wrinkly feet, the tiny fingers, the fresh skin — and telling a little bit of the baby's birth story is something I love! 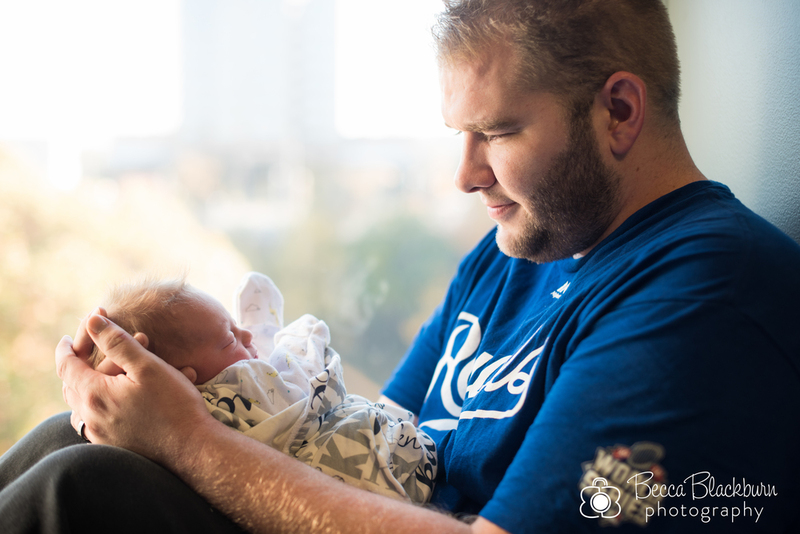 Recently I had the privilege of meeting baby Knox and his parents just hours after he was born. Here are a few favorites from his Fresh 48 session. 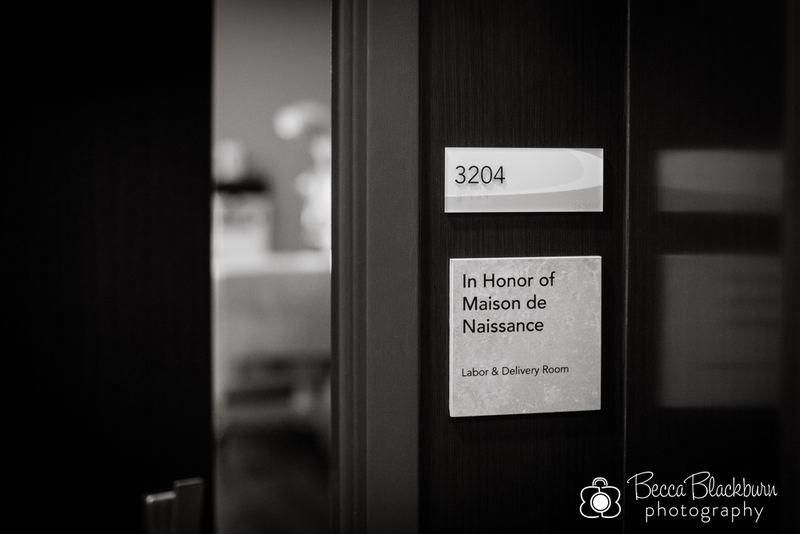 Expecting a baby and interested in a Fresh 48 session or birth photography? I'd love to talk with you! Please contact me here or email me at beccablackburnphoto@gmail.com. When I first met Mindy, I could tell she was an awesome mom. Her energy and devotion to her kids was inspiring to me. She wasn't letting pregnancy slow her down, but she was also very ready to meet her new little guy! Since Baby M seemed to be cozy and content staying inside his mama past his due date, Mindy decided to have her water broken to induce labor. Her doctor broke her water around 9:00 that morning. Around 11:45, Michael texted and said things were starting to progress, but it'd probably be a few more hours until I should head that way. Just a few minutes later, he said I should actually get on the road soon. And I'm glad I did! 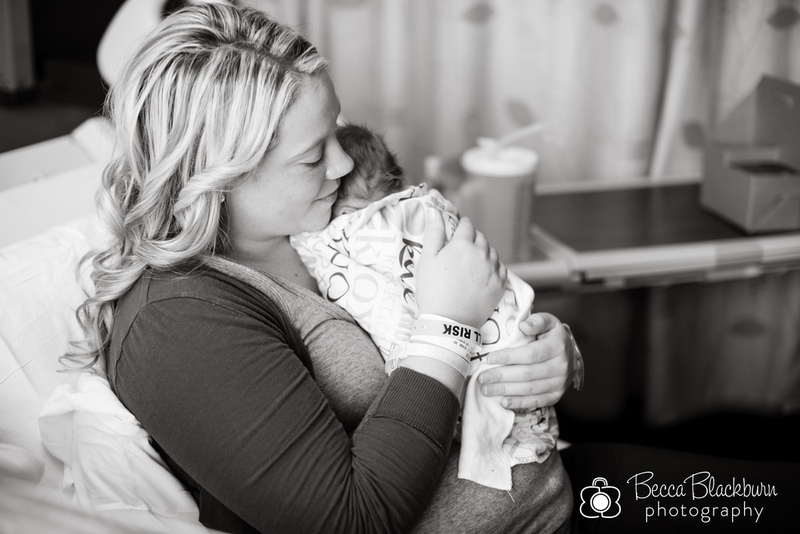 I'll let you read Mindy's birth story in her own words below, but let me just say WOW! 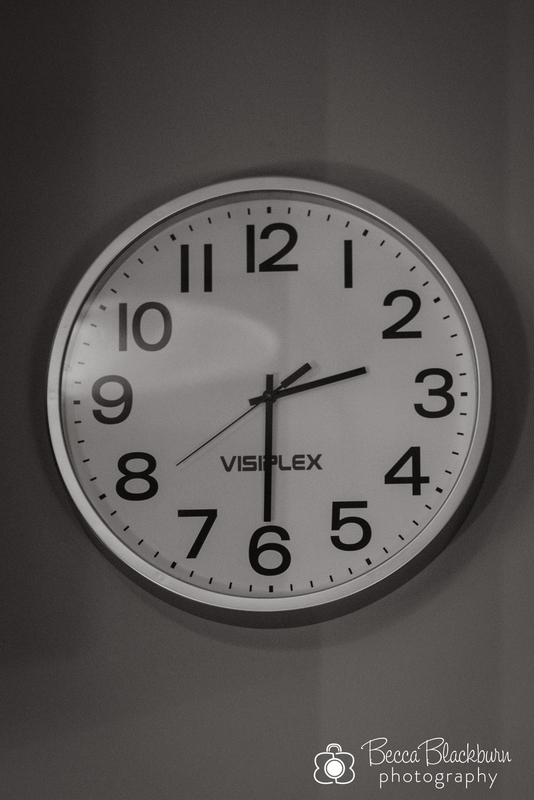 From the time she thought the baby was close to the time he was on her chest was FOUR minutes! Once Baby M decided he was ready to make his appearance, he meant it! Mindy pushed once, and then all of a sudden she got a huge smile on her face and said "BABY!" And he was here! "This was my third birth experience—and just like the first two, things didn't quite go as I had pictured! Each of my babies has decided to make somewhat of a dramatic exit from the womb. After M decided he was too comfy to have his birthday, we decided on having my water broken in hopes of inducing a quick and natural labor. 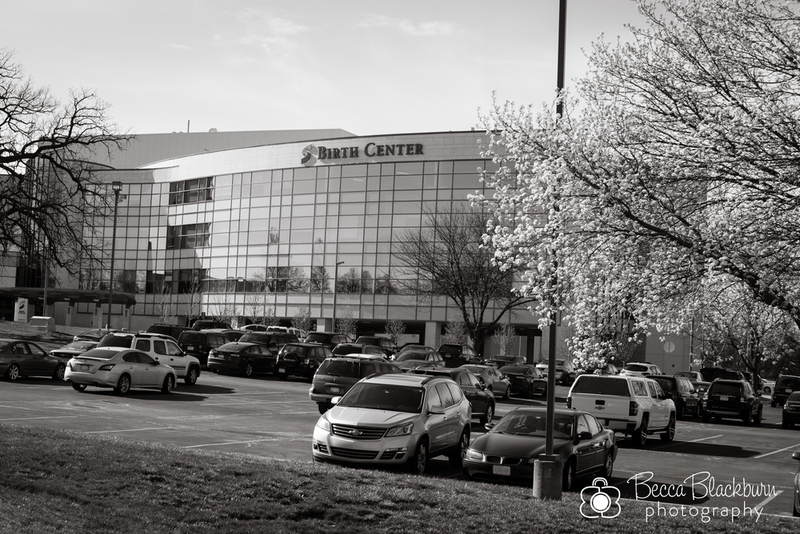 On Thursday morning, once the doctor did the procedure, things got moving pretty quickly. Michael was there by my side supporting me through the different stages of labor, encouraging me to try new things and keep me going strong. We had music playing and back rubs throughout every contraction. He was so awesome. 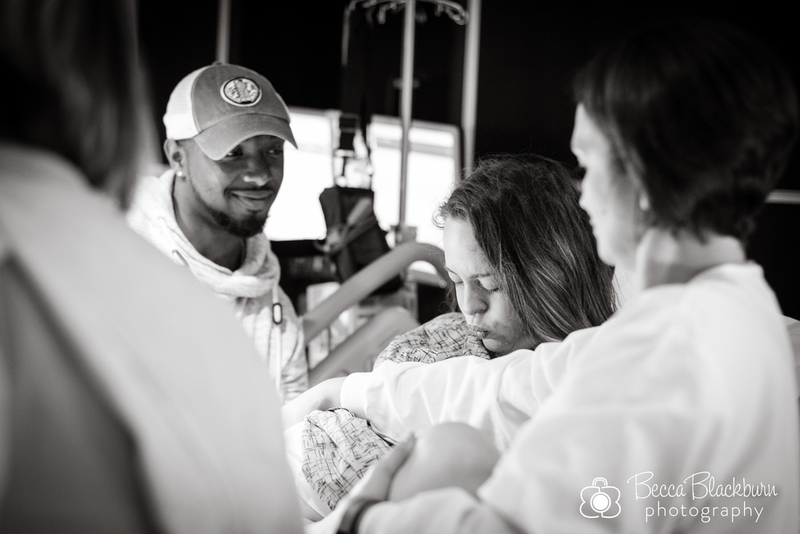 When Becca arrived I was probably in transition, the most intense part of labor, but because I was only dilated to a six I felt discouraged and that I still had several hours to go. About an hour later, after another painful but regular contraction, I had an overwhelming feeling that this was it! I told my nurse and husband 'He's here!,' and sure enough, baby M was making his way into the world without much notice! The room quickly filled with hospital staff, and luckily the OB on-call was there to catch him because my OB missed it by about 60 seconds! I was momentarily in shock because I didn't have time to prepare for his arrival or for pushing—it just sort of happened! That feeling when you first hold your child is something I can't even describe, other than to say it is miraculous. I am beyond thankful that Becca was able to capture such a wild and special day for us because we wouldn't have had time to take any photos on our own! Every detail she captured about M's birthday is a detail I'll treasure and hold onto for a lifetime." 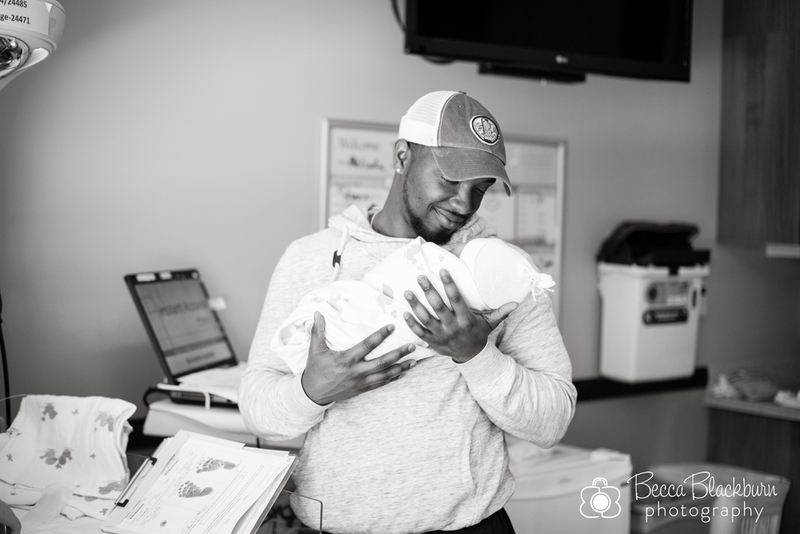 It was an honor to be in the delivery room when Baby M entered the world. 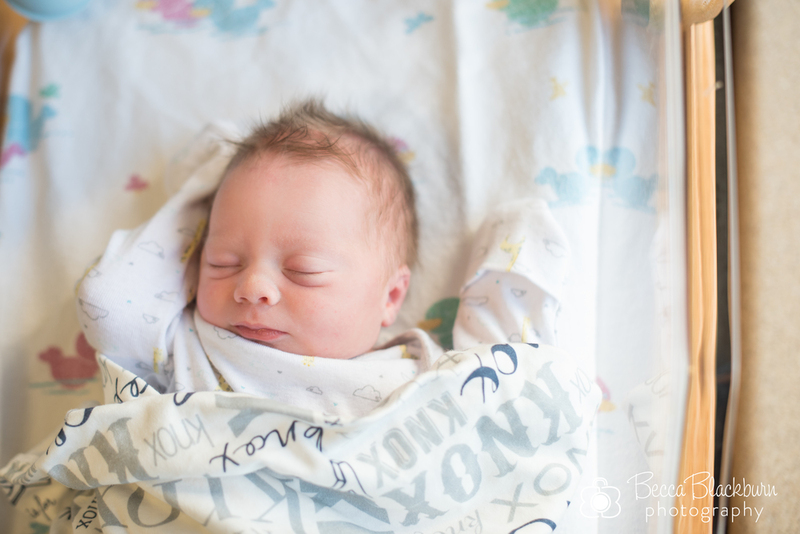 This sweet boy is sure to grow up surrounded by love and lots of fun! Click through the gallery below and enjoy a peek into their day. Expecting a baby? 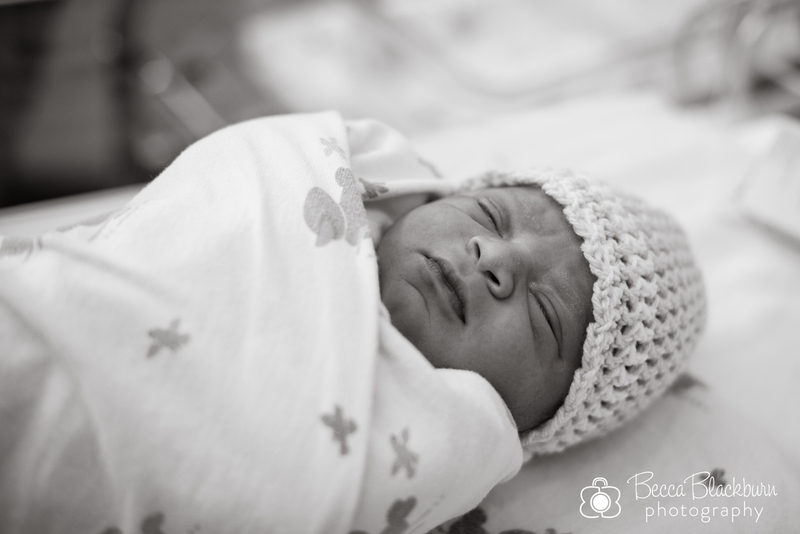 I'd love to help capture your baby's arrival too! 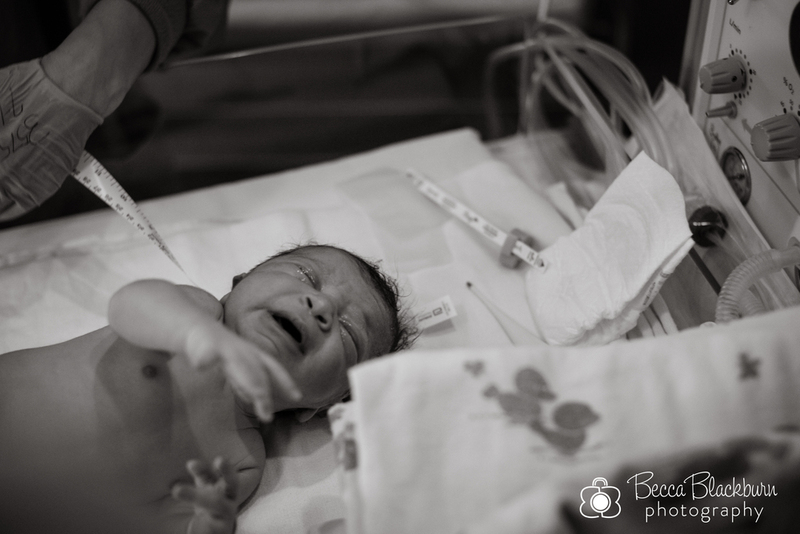 If you're interested in birth photography or a Fresh 48 session, please contact me.